New Delhi : An analysis done by SRL Diagnostics, the leading diagnostic chain in India on Viral Hepatitis (A, B, C, E) testing done in its laboratories revealed that Hepatitis C Virus infection was most common in the Northern states of India when compared with other parts of the country. However the water born Hepatitis E virus infection was found to be the most common laboratory diagnosed viral hepatitis in India, The data is based on the more than 8 lakh 11 thousand tests done pan India at SRL labs between January 2014 and May 2017. Hepatitis C virus (HCV), the virus can cause both acute and chronic hepatitis, ranging in severity from a mild illness lasting a few weeks to a serious, lifelong illness. However, 80-85% of individuals who contract HCV land up having a chronic hepatitis requiring extended, often lifelong, drug therapy. The hepatitis C virus is a blood-borne virus and the most common modes of infection are through exposure to small quantities of blood which may happen through injection drug use, unsafe injection practices, unsafe health care, and the transfusion of unscreened blood and blood products, or sexual contact with an infected person. Globally HCV prevalence is estimated at 1% with 71 million of HCV infected adults. A significant number of those who are chronically infected will develop cirrhosis or liver cancer. 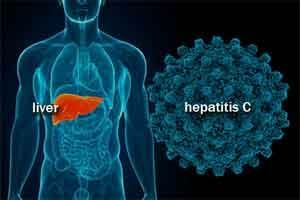 Approximately 399,000 people die each year from hepatitis C, mostly from cirrhosis and hepatocellular carcinoma. The study also revealed that all four types of viral hepatitis are more common in young age groups of 16-30 and 31-45 years. The water borne virus infections, both HEV (Hepatitis E Virus) and HAV (Hepatitis A Virus) infections were particularly common in the young adult age group of 16-30 years while HCV (Hepatitis C Virus) infection was more common in middle age to elderly age groups of 46-60 and 61-85 years. HBV infection was observed to be evenly distributed across age groups. According to WHO – worldwide reports have recorded around 6-10 million newly infected cases. Based on the Global Health Sector Strategy on Viral Hepatitis report (2016-2021), viral hepatitis has been responsible for an estimated 1.4 million deaths per year from acute infection and hepatitis-related liver cancer and cirrhosis. The WHO report has stated that approximately 48% are attributable to hepatitis C virus, 47% to hepatitis B virus, and remaining to hepatitis A and hepatitis E viruses out of the 1.4 million deaths. Worldwide, approximately 257 million people have chronic hepatitis B virus infection.